Comments: This is a popular shade tree selection in the South. Growth is fast for several years. 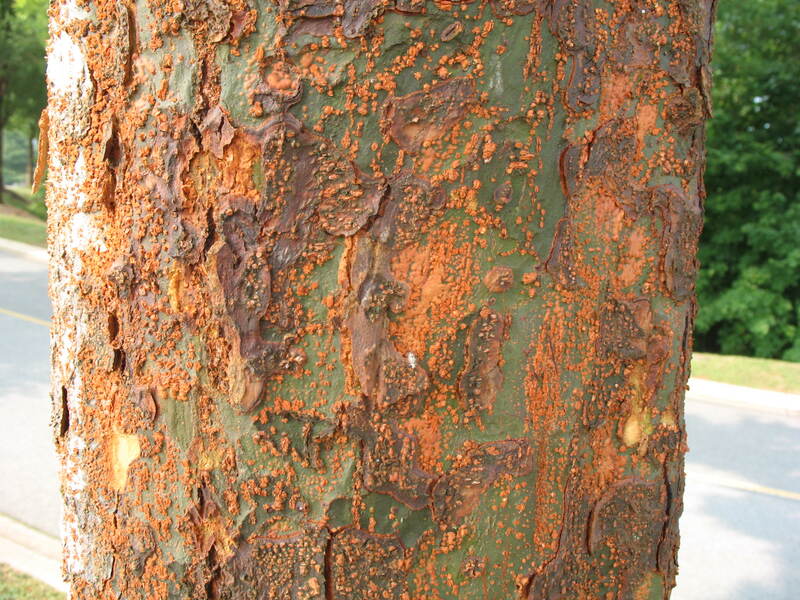 The exfoliating bark is quite striking when it sheds pieces of bark to expose irregular orange under bark. Long branches can have a somewhat pendulous quality. This tree tolerates a wide range of growing conditions.